Elegant Architecture Featuring All Brick Exterior! Stellar Finishes include Hardwood Flrs In Living./Dining areas, Detailed Millwork and Moldings, Solid Cherry Cabinets, Granite,Ceramic B-Splash,Ceramic Tile Flrs,Custom Closet Interiors and more. First Floor Master Ste w/En Suite Luxury Bath, and Lg WIC. 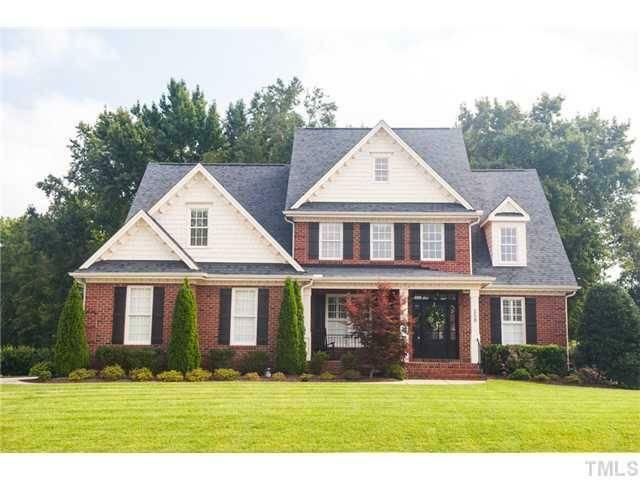 All Brick Community,Walking Trails and well kept grounds. Minutes to I40!